by William S Pollack, PH.D. Very Good. Real Boys: Rescuing Our Sons from the Myths of Boyhood by William Pollack. Trade paperback (US). Glued binding. 480 p.
Very Good. 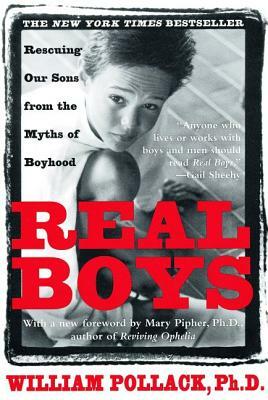 Real Boys: Rescuing Our Sons from the Myths of Boyhood by Pollack, William., 1998-06-30. Sewn binding. Cloth over boards. With dust jacket. 447 p.
Good. Real Boys: Rescuing Our Sons from the Myths of Boyhood by Pollack, William., 1998-06-30. Sewn binding. Cloth over boards. With dust jacket. 447 p.
Good. Offered by the UK charity Langdon: supporting young men and women with disabilities. Fine. 0805061835 Ships from Tennessee, usually the same or next day. Very Good. 0805061835 Ships from Tennessee, usually the same or next day. Books by William S Pollack, PH.D.